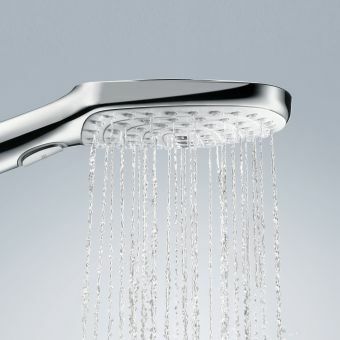 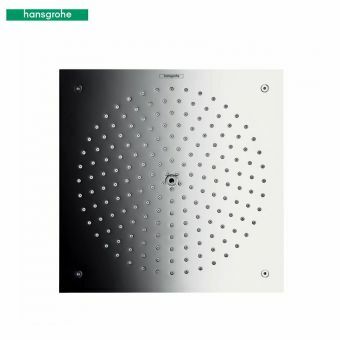 Hansgrohe are rightly regarded as one of the foremost designers of contemporary bathroom ware, and these credentials are crystallized no better than in the Raindance series. 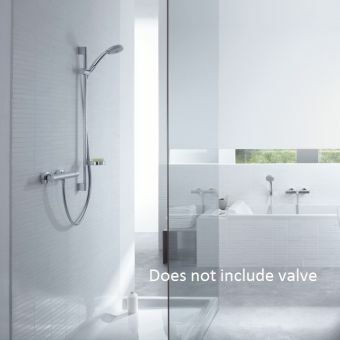 Trim in style, easy to install and operate, and delivered with accessible prices, they remain the go-to series for homeowners, landlords and hoteliers looking for something a cut above the average without stretching the budget. 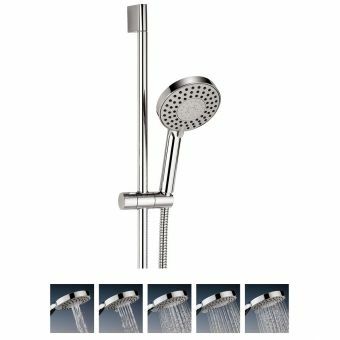 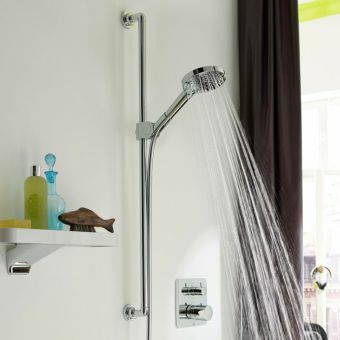 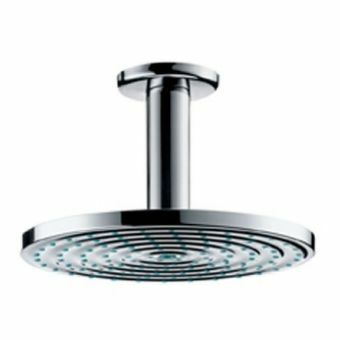 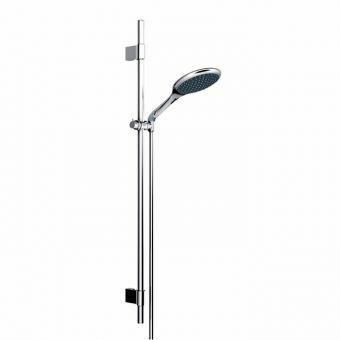 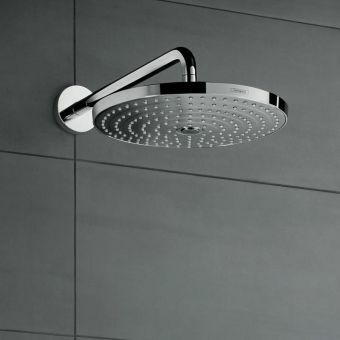 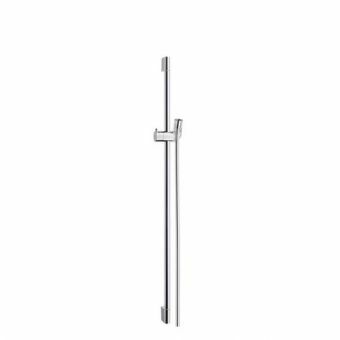 The Raindance Select E Unica Puro Shower Set is attached to the wall via a single riser bar, providing height adjustable support for the handset and shower hose. 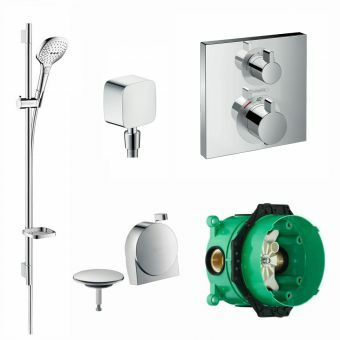 Supplied with all the components required to get you up and running, this suite also includes a useful soap dish for handy storage options. 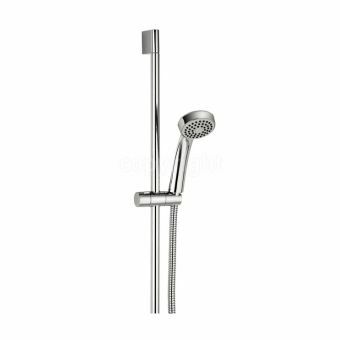 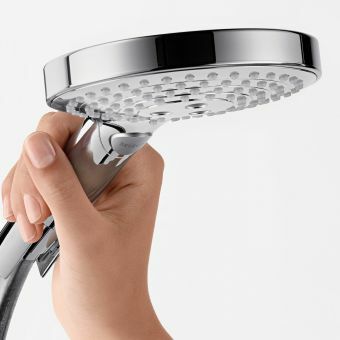 Fully articulated to give the optimum control over the spray angle, the shower handset holster can be rotated through 90 degrees, with pivots for left and right movement, as well as vertical control. 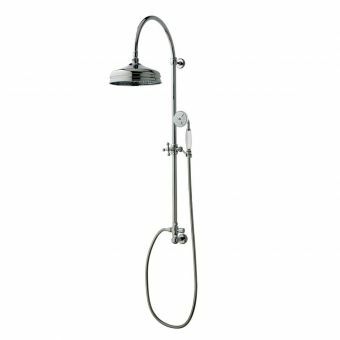 Designed for use with high pressure plumbing systems, this unit makes an ideal match with the crisp, modern interior space.